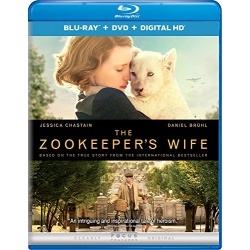 In 1939 Poland, Antonina Zabinska (two-time Academy Award nominee Jessica Chastain) and her husband successfully run the Warsaw Zoo and raise their family in an idyllic existence. Their world is overturned, however, when the country is invaded by the Nazis and they are to report to the Reich's newly appointed zoologist (Daniel Bruhl). To fight back on their own terms, the Zabinskis risk everything by covertly working with the Resistance and using the zoo's hidden tunnels and cages to save families from Nazi brutality.